Cancers are on the rise across the world. Except for viral-based cancers, overall cancers are diseases that may be preventable. 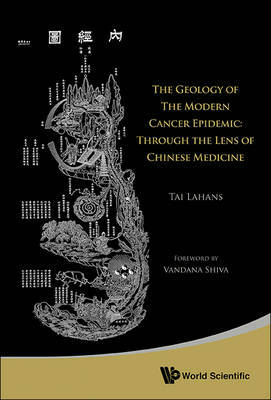 This book looks at the many levels of determined, probable, and possible causation for several common cancers. These causes include realities found in culture, anthropology, sociology, politics, the environment, agriculture and food, beliefs, and the modern lifestyle. These realities are filtered through the perennial science of Chinese medicine - an ecological system of knowing and understanding the human body as it relates to the world around us. The book covers lung, colorectal, breast, prostate, and virally-caused cancers. It interweaves conventional medical knowledge of these cancers with modern realities of everyday life we all live, and with Chinese medicine interpretations and strategies for treating probable pre-cancerous conditions. This makes it a book that is useful for the practitioner of Chinese medicine. It is also useful for the patient suffering a cancer diagnosis in terms of survivorship and for other medical practitioners who wish to understand how integrated care for cancerous diseases and conditions may relate to Chinese medicine and prevention. The final chapters of the book are dedicated to finding answers for a cure for cancer through making connections between how we live, what we believe, the environment we are creating based on those beliefs, and the social and political mechanisms we now have in place that keep us from change and, therefore, from the cure for cancer.